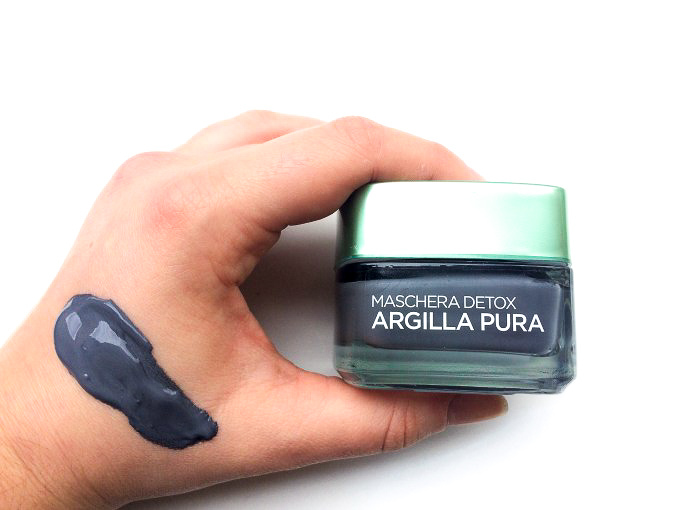 In today’s post I’m reviewing, as you can see from the title the L’Oréal Pure Clay Detox Mask. It came out about 2 years ago along with a green one and a red one. They are all clay based with different properties and they were made for multimasking (which means using different masks with different functions in different parts of the face, based on skin’s necessities). I’ve used and love the red clay one and the blue one, you can see the review here: L’Oréal Pure Clay Blemish Rescue Mask | Review so of course I’m super thrilled to expand my collection adding this one, I feel like this masks are made for my skin. You can get it here for about 10$. 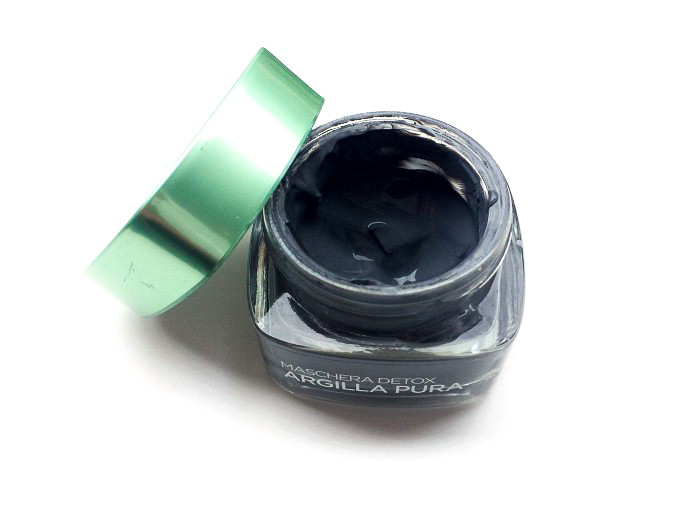 As I said this is the grey one, that, of course, contain charcoal and to be honest I don’t really like the scent since it’s very strong. It is a thin mask, it’s quite cooling when you put it on but then it starts drying and it’s one of those masks that BLOCKS your face. 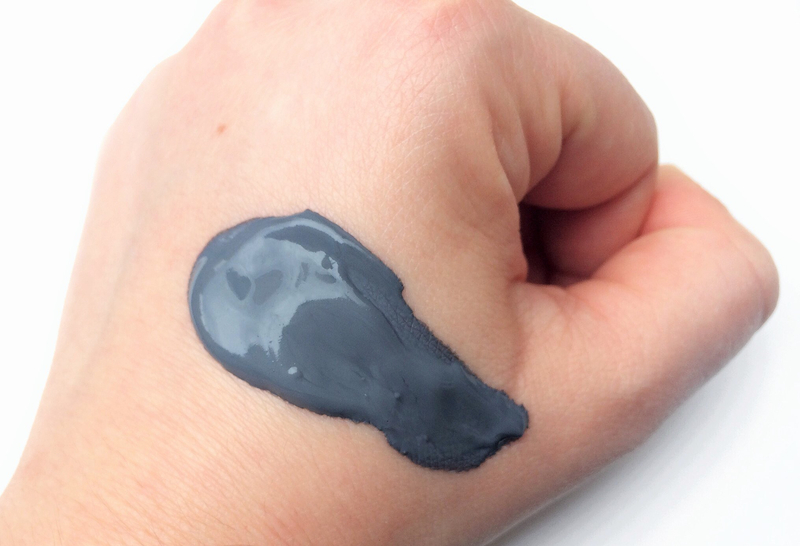 Once it dries it becomes lighter but you can see it staying wet where you have pores, it’s actually very cool to see. 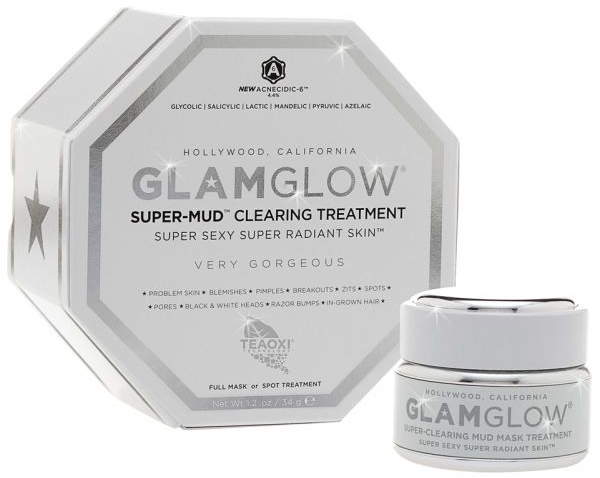 (if you are familiar with the Glamglow SUPER-MUD Treatment you know what I’m talking about). On the packaging, it says you should keep it on for 10 minutes, but I find that ten minutes are not enough to make it dry so I keep it on for a little longer, until I can’t move my face. My skin is not particularly sensitive, but if yours is, you should wash it off sooner. My skin is way brighter. I have combination/oily skin and after this mask, I NEED moisture so I won’t recommend it if you already have dry skin. The packaging is the only downside for me, I don’t think the pot is really hygienic so I like to apply it with a brush. The jar is made in glass, not really travel-friendly but very luxurious. Compared to the Blemish Resque one I find that this one it’s more drying, but more effective, at least on my skin, where’s the blue one has a nicer scent and it’s perfect for more sensitive skin. 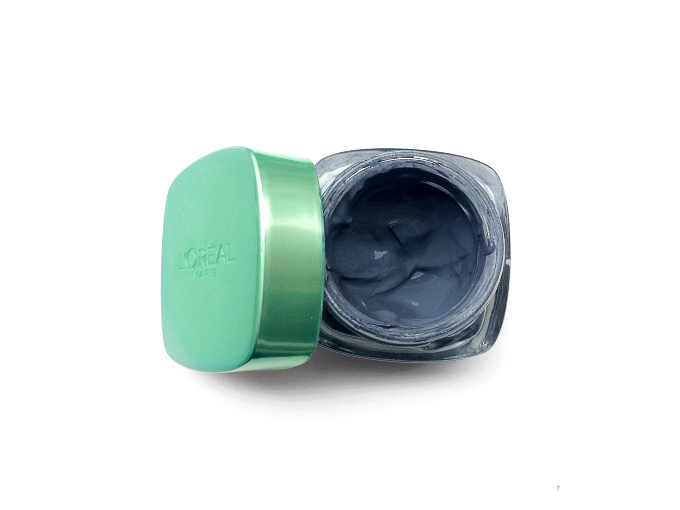 Another dupe that I’ve already mentioned is the GlamGlow Super Mud Mask, this is way more expensive but I find that the two are very comparable, so if you as broke as I am, go with the L’Oréal. I absolutely adore this mask! On my skin I can see that it works which is quite rare for me, the price point is awesome and actually the fact that I have to use a brush to apply it helps with SPA feeling on a SPA night so it’s not really a downside. 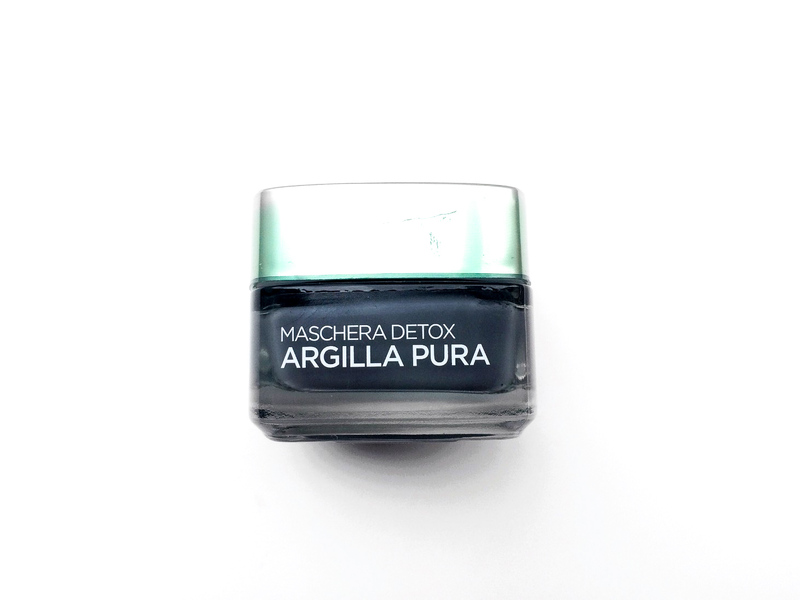 It’s a bit drying so make sure you moisturize really well afterwards and the scent is not the best, but I totally recommend it if you are looking for a new purifying mask.